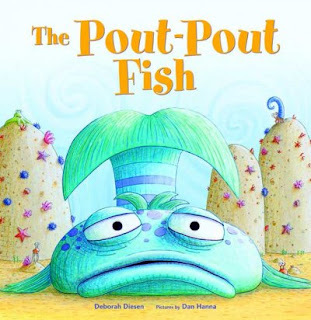 Have you ever read The Pout-Pout Fish? It's probably at your local library. Sometimes a kiss is all it takes to turn things around. Well, that's what happens to The Pout-Pout Fish. I like how the fish changes in the end. I like how everyone tells the fish to be happy but he says he can't because he's a pout-pout fish and it's the way he's made. I love the illustrations and how the setting is in the sea, and how much detail it has. But is he really a pout-pout fish with a pout-pout face? Read the book to find out! I love this review - thank you!